Ellie overhears Dante thank Spinelli for agreeing to be the godfather. She questions Spin, who says he felt he had no choice because it assures him a place in the baby&apos;s life. Ellie wonders if he&apos;ll be satisfied with so little contact. Tracy stops by Lulu&apos;s with a gift and asks about Luke. Lulu says she knows the truth about Luke&apos;s condition. Tracy apologizes for keeping it from her. Lulu wonders where her father is and if he&apos;ll ever come home. She&apos;s upset that she has no one at the christening, but Tracy says she&apos;s there for Lulu as she&apos;s always been. 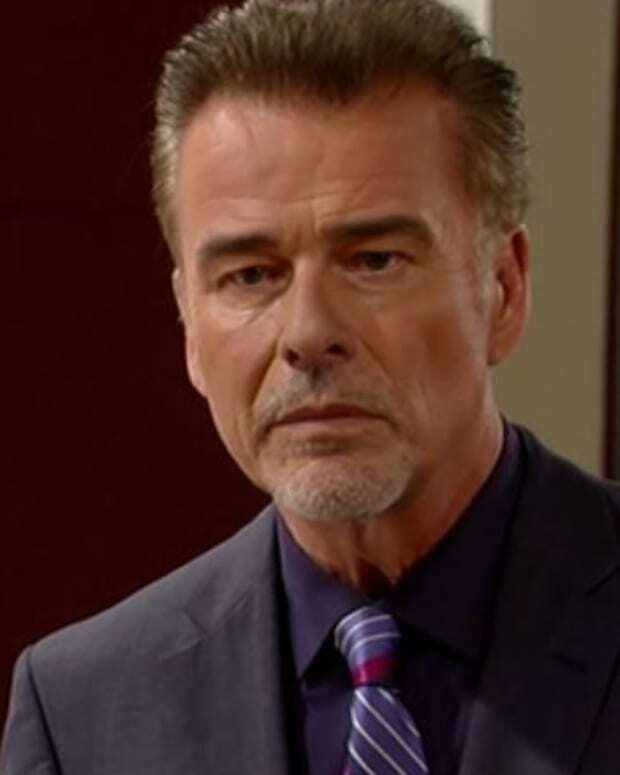 Luke finds himself on Cassadine Island, looking for Jerry. He has a hallucination of Helena who tells him to join her in the grave and that he&apos;ll be dead soon. Helena promises a way out. She offers to end his suffering, but Luke refuses to go with her. Helena promises he&apos;ll see her again. Britt finds Nikolas talking to baby Ben. He tells her that he&apos;s going to baby Connie&apos;s christening and she feels badly for Maxie. Nik mentions Brad not stepping up for the baby, but Britt reminds him that she and Brad had an arrangement. Maxie prays to God to help her have the strength to let go of her daughter. Olivia overhears, but says she understands how hard it&apos;s been for Maxie to let go. Maxie says she&apos;s in therapy and promises there won&apos;t be a problem. Olivia tells her about the vision she had of Maxie stabbing Lulu with a knife, but knows she&apos;d never hurt Lulu. Olivia brings up the vision of the dog. Brad has a box of chocolates for Felix, but Felix still wants nothing to do with Brad. Brad says they shared a moment before. Felix admits there was something there, but it stopped when he found out Brad was the baby&apos;s father. Nikolas returns in the room as Britt is telling the baby that she&apos;s lied to him. Britt admits she didn&apos;t tell him that her mother called. Britt swears she hung up on her mother and didn&apos;t want to cause Nik any trouble. Nik understands, but promises they are still friends. Britt gives him a hug and thanks him for caring. Olivia and Tracy discuss her visions when she has one of Luke in a casket. Tracy asks if Luke is dead and to check. Luke&apos;s eyes open and he appears to be trying to say something. Olivia listens and tells Tracy that Luke asked for his spanks. Tracy realizes Luke needs her and decides to head out after the ceremony. Spinelli and Maxie bump into each other at the christening and explain that they are the godparents. Maxie feels it will give her a reason to be close to her daughter. Spin agrees that it allows him to be a father figure. Maxie promises that things will get easier every day. She admits she prayed for strength and that God sent her Spinelli. 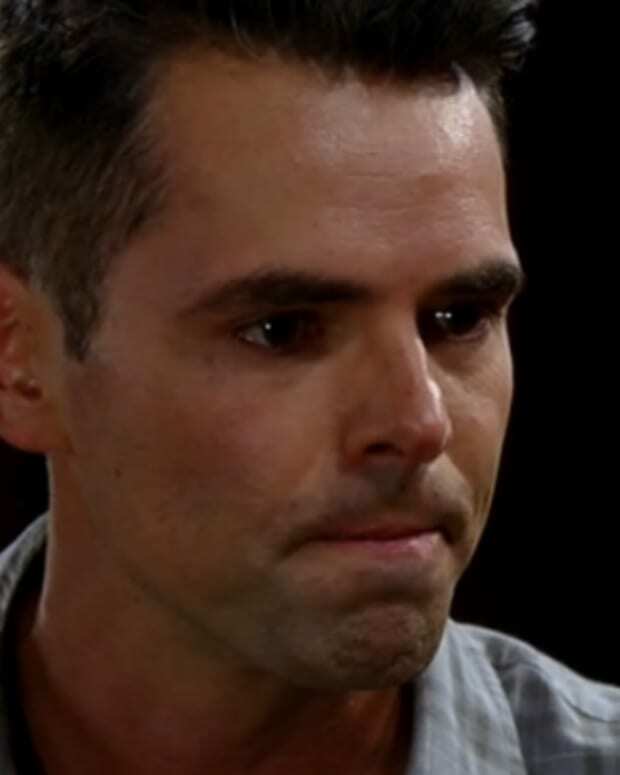 Ellie mentions to Brad about the Lante baby christening so he leaves, to prove he can do the right thing. Britt finds her mother with baby Ben. The priest recites the vows and baptizes baby Connie. Brad tells Spinelli that he needs to tell Lulu and Dante something important.